The shaky relationship between the Baltimore Orioles and the Washington Nationals has gotten even more contentious in recent years. Both teams have been in court fighting over money, in particular, the rights fee for the Nationals. The television rights for the Nationals are owned by MASN, which is operated by the Orioles. And the Nationals are saying that they haven’t paid a rights fee dating back to mid-2018. In 2015, the O’s won one ruling over the matter, but less than a year later, it was the Nationals’ turn to win in court. MLB has wanted the two teams to figure things out through arbitration rather than the courts. However, that has not happened and the teams have been in the courts trying to figure out what exactly is “fair market value.” In June of 2017, a federal appeals court ruled in favor of the Orioles, saying the law firm representing the Nationals also repped MLB in other matters. A substantial award to the Nats was thrown out, but the court also sent the dispute back to the same arbitration panel. But as this whole thing was going on, MLB secretly gave the Nationals $25 million in 2015 to assuage team owner Ted Lerner, who was angry over the reduced rights fees from MASN. By June 2018, though, the Nationals hadn’t received their payout and accordingly inquired about the missing money. Thus began months of correspondence between the two clubs and the MLB Commissioner without resolution. The Nationals apparently went into this offseason without TV money, and if conspiracy theorists wish to partly attribute this to the loss of MLB superstar Bryce Harper to the Philadelphia Phillies, well, the Nationals did once tell a court that the Orioles power play was harming its ability to invest in free agents and improve its team. Back in October, MLB asked the teams to mediate their dispute amongst themselves, but could not come to a resolution. The Orioles did seek an outside arbitration company, citing the $25 million payment that a baseball-run panel cannot be impartial, plus that MLB was a minority owner in the Nats. The Nats are seeking to stop the arbitration in front of the new panel by claiming they did not agree to it. So this whole thing will be going back and forth in the courts until we get a resolution, but when that will come is anyone’s guess. 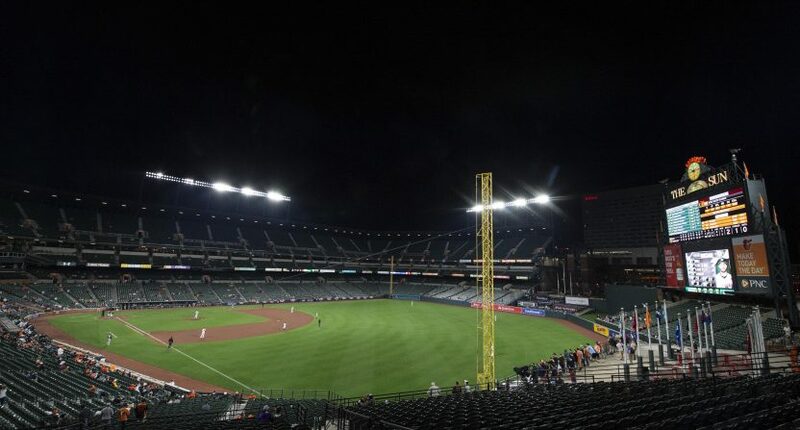 Will the Nationals be able to get fair market value for their TV rights, or will the Orioles continue to own these rights and hold their thumb over their local rivals? Right now, the whole thing is a mess (which it has been for years), and it may take more than just arbitration to figure this out.